Like all Madame Alexander dolls, this delightful Huggems is precision-designed for toddlers age 3 and under. 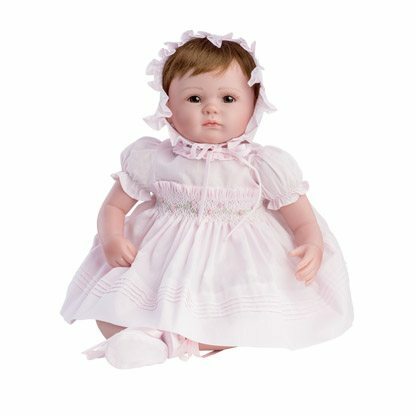 With blinking eyes and soft vinyl body, this 12-inch doll wears soft cloth pink play clothes with a dotted pink headband. Mom Alert: this doll is completely washable!